Thibaut Courtois has had an outstanding season at Premier League champions Chelsea and has moved to the list of top European goalkeepers. After three loan seasons at Atletico Madrid, Courtois returned to Stamford Bridge last summer and took the first choice goalkeeper position away from Petr Cech. The development of Courtois at Atletico had been phenomenal, winning the La Liga title last season, and having the lowest goals conceded-to-games ratio in the league. Many would have wondered if he would be able to replicate this form at Chelsea but he has had no issue at all changing and adapting to the rigours of the English game. Playing in 32 league games, Courtois managed 74 saves and 12 clean sheets as Chelsea won their 4th Premier League title. 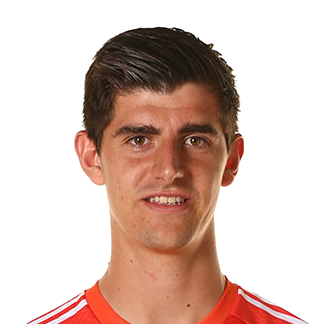 Internationally, Courtois has made the Belgian goalkeeping position his own and will be aiming for a good showing at Euro 2016. At almost two metres in height – allowing dominance in the air, and with impeccable shot stopping abilities, Courtois has the potential to become one of the best goalkeepers of his generation. Having just turned 23, you can be assured that he has a long and successful career ahead of him.